There can be a wide variety of foot conditions that may call for surgical intervention in order to correct them. For some patients, there could be a major injury that will have to be treated by a professional in order to fully heal. Mill Creek Foot and Ankle Clinic will always be there with options and advice for your common foot injury treatment and surgery in Snohomish. 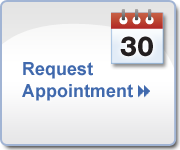 All you have to do is set aside some time to come in for an appointment. Many ankle sprains can be fully managed on a conservative level. Using the RICE method, which is rest, icing, compression, and then elevation, you will be able to get a great deal of relief. Someone who has had a great deal of ankle sprains may have substantial damage to the ligaments within. It may be necessary to think about surgical intervention with a repair/reconstruction of the lateral ankle ligaments. This is an injury that takes place proximal to the area of the insertion within the calcaneus. Whenever an affected patient is placed in what is known as the prone position, the reduction of plantar flexion tone will be evident when comparing both sides. No matter what you may have going on in terms of foot injury and complications, we will be happy to meet with you and give you all of the guidance and therapies that you need to get back on your feet again. After your initial consultation, you will be on your way to getting some much needed relief. Are you looking for foot pain treatment info? Call Mill Creek Foot and Ankle Clinic at (425)482-6663 for common foot injury treatment and surgery in Snohomish.